Super lightweight and minimalist, the 100% iTrack Bike Gloves meet at the intersection of premium comfort and straight up functionality. Integrated tech-threads maintain touchscreen capabilities, so sending out a pre-run "selfie" or queuing up your riding jams isn't an ordeal every time. 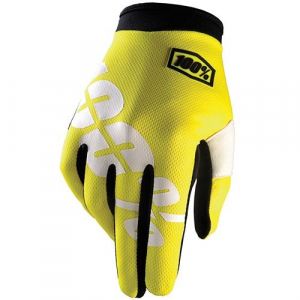 The 100% iTrack Bike Gloves--welcome to the 21st century my friend!